Advances in Australian agriculture technology continue with new uses for remote drones. A Pacific Seeds farm in the Kimberley’s Ord Valley has been using a remote-controlled drone to protect its seed crops from the seasonal onslaught of birds. In the area birds such as corellas and black cockatoos swarm farms in the thousands. The drone is modified with an audio device that emits a range of differing sounds. The sounds mimic high pitched distress calls and bird of prey calls. The drone is being manually flown across the farm morning and afternoon. However, in the not too distant future, it could be automated. While farmers have been using drones to scare birds from the farm, a business called Aerobugs has been using drones to effectively deliver Integrated Pest Management Programs. After 25 years in the strawberry industry, Aerobugs Manging Director Roy Nathan saw an opportunity to modify a drone to disperse predatory bugs across valuable strawberry crops. Roy attached a dispersing spreader system to his drone that can release the bugs precisely on the affected crops. The drone has the ability to spread the insects more evenly than the traditional sporadic manual method. Overall drones are beneficial in their purpose but also aid to reduce labour costs, input costs and maximise yield potential. 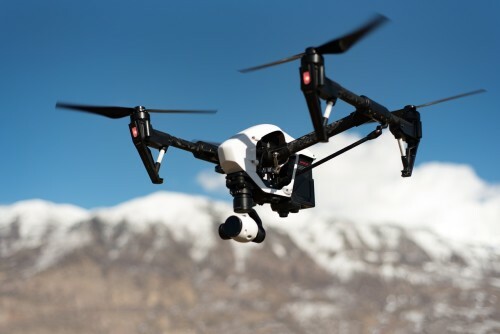 Agriculture has been built on continual agriculture technology advances and it will be exciting to see what other uses may occur for drones and agriculture technology on Australian farms.